CallioLab was the first Underground Laboratory (UL) to start working on Business Model with the Service Design team of the BSUIN project. The workshop “Current state of business, innovation and co-creation“ took place on the 21st of February in Finland at Pyhäjärvi townhall. 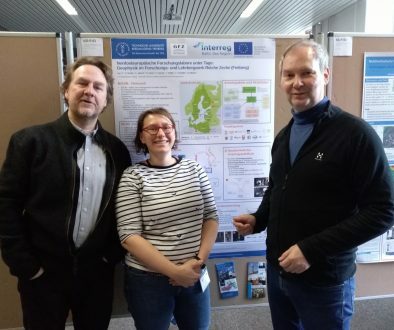 Representatives of Oulu University, Pyhäsalmi Mine, Pyhäjärvi town and Callio were present. 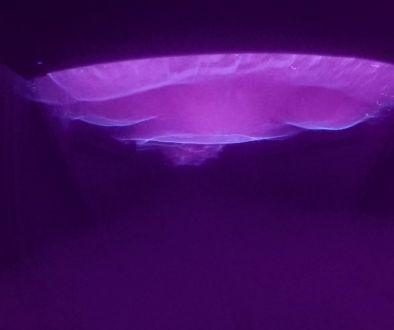 Program Director of Callio introduced us to Callio, which offers unique facilities and underground infrastructure for several purposes, for scientific research, as well as versatile possibilities for commercial use. In the workshop, current state of business, innovation and co-creation were described by using a collection of tools for service businesses developed in Cambridge University. The process started with Strategic thinking and business model, followed by Customer interactions and relationships and finally concentrating in Service design. 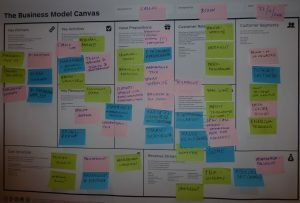 After many discussions a business model canvas (BMC) was built by using post-it sticky notes to describe the current business model of Callio. The current Business model of Callio created in the workshop. Business model in general describes the logic of how a company (in this case the UL) intends to make money, and how it creates, delivers and captures value. 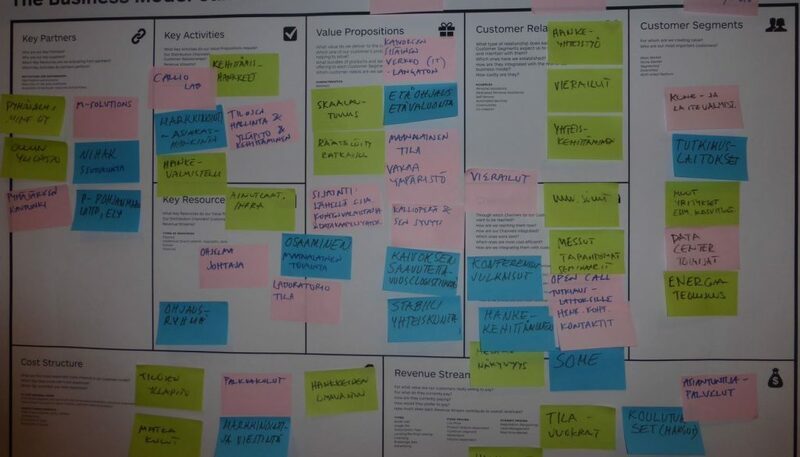 Business Model Canvas (BMC) is a useful tool for describing, analyzing and designing business models. The last task in the workshop was to assess the status of Strategic thinking and business model, Customer interactions and relationships, and Service design by Self assessment tool. The Service Design Team will analyze the results of the workshop, and present them with visual tools. The workshop will lead to the creation phase of service design. Service Design helps to innovate and create new services or improve the existing ones to make them more useful, usable, desirable for clients, and efficient as well as effective for organizations. Leaders of the workshop. 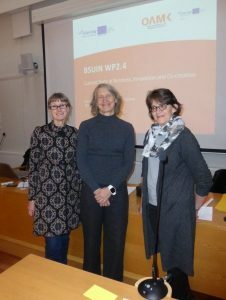 Päivi Aro, Taina Vuorela and Helena Ahola are looking forward to the next workshops in Freiberg.